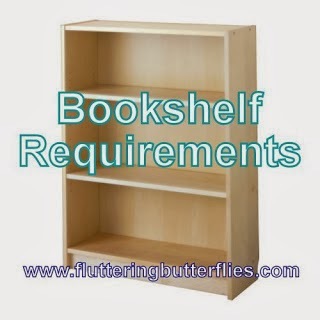 I'm a teen book blogger and mostly review YA, although my tastes range far and wide and include adult literary fiction, as well as the odd children's book. When I'm not reading, I enjoy writing, eating chocolate and climbing trees. And do follow The Book Nook and Maya on Twitter! I am quite sure that Philip Pullman's novels were a major factor in the development of the love for reading I have today. 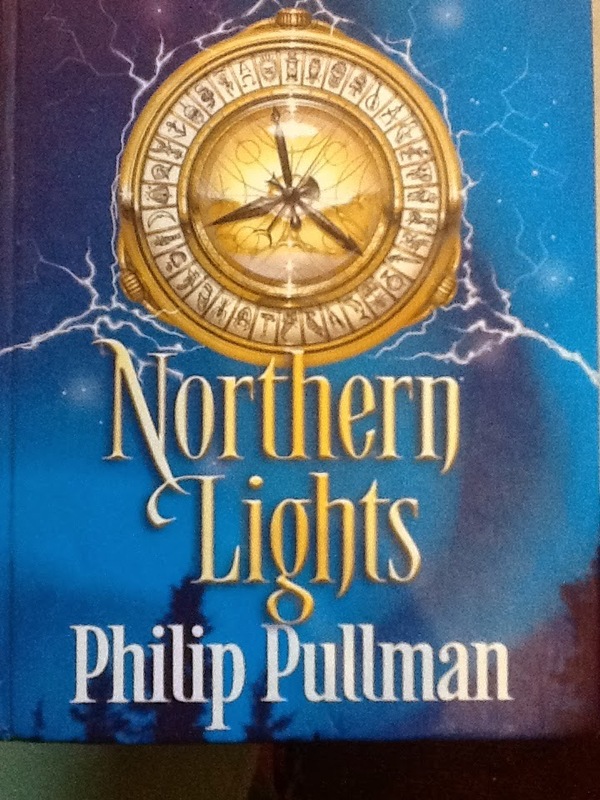 I first read the His Dark Materials trilogy when I was about ten and it quite literally opened up whole new worlds for me, in a way I hadn't experienced before. They were my first taste of what a truly masterful writer can create and I fell completely in love with it. My enchantment with the series has not diminished with time - instead it has grown with each reread (of which there have been several). They remain my go-to books if I ever run out of reading material - although that doesn't really happen much since I began book blogging. 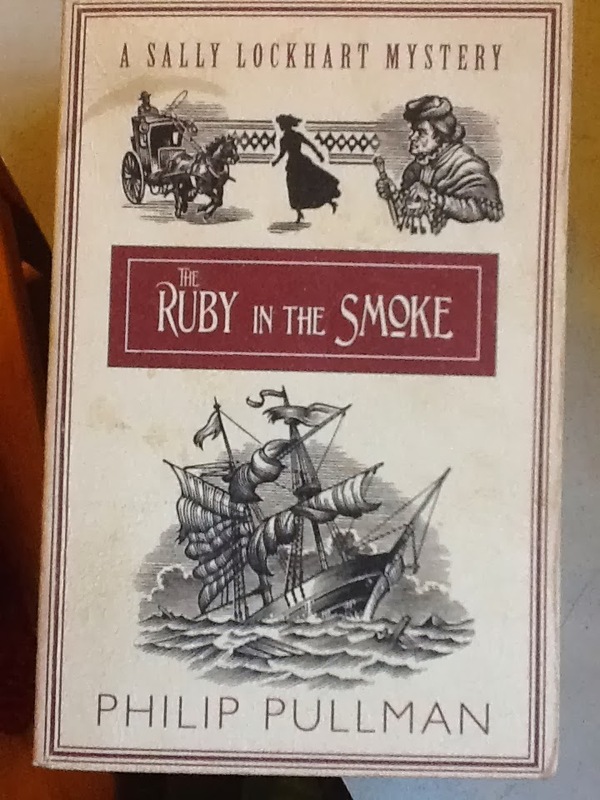 Strangely, I've never reviewed any of Pullman's books. Maybe that's because I know that any attempt would only result in a long, rambling list of all the reasons I loved them so much! Instead, I recommend them to people at any opportunity. As someone who has her head in a book a great deal of the time, I do get a few people picking up on the fact that I know a bit about books and asking for recommendations. 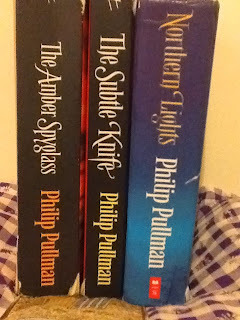 I don't even hesitate before answering, "the His Dark Materials trilogy by Philip Pullman." Every time, without fail, that has been my answer. I've given them as birthday presents a couple of times, and the reason I'm so convinced that people will enjoy them is because I've never met anyone who hasn't. Oh, I'm sure there must be a few out there, but nobody I know of. This brings me on to the film, a different situation entirely. 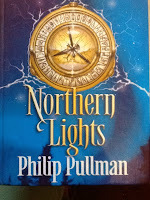 In 2007, a movie version of Northern Lights, the first in the His Dark Materials trilogy, came out under the title of The Golden Compass. It is, without a doubt, the worst book-to-movie adaptation I have ever seen. Ever. My issues with it abound, but I will not go into detail here as I'd just end up ranting. However, I will say that if you've seen the film and thought, "pah, I'm not reading any book THAT was based on! ", please do try to forget as much about it as you can and just pick up Northern Lights. 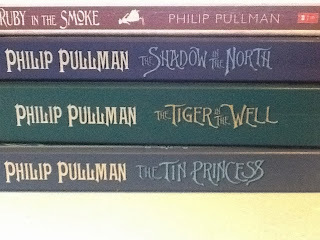 Of course, these books - wonderful as they are - aren't the only ones Philip Pullman has written. His Sally Lockhart quartet is a series of mysteries featuring a wide range of characters and set mostly in Victorian London. 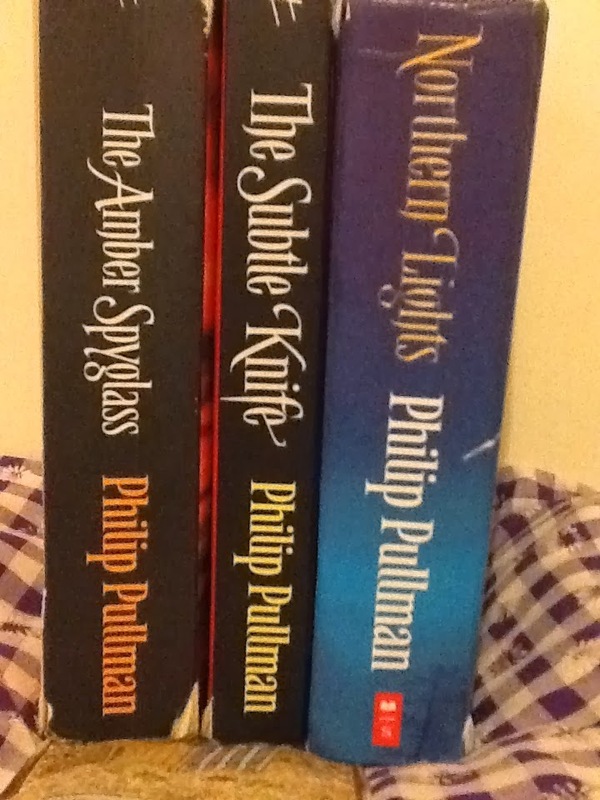 They are fantastic and gripping, and although I don't love them quite as much as the His Dark Materials trilogy, I have still read them multiple times. The only other book I've read of his was The Butterfly Tattoo, which I found in a charity shop a year ago and picked up the moment I saw who it was by. 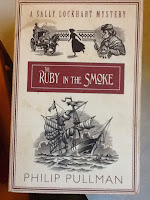 I was actually quite disappointed by it and found that it definitely wasn't up to the standards of his other books, but then he did write it quite early on in his career. Still, I wouldn't recommend it - his other books are so much better. 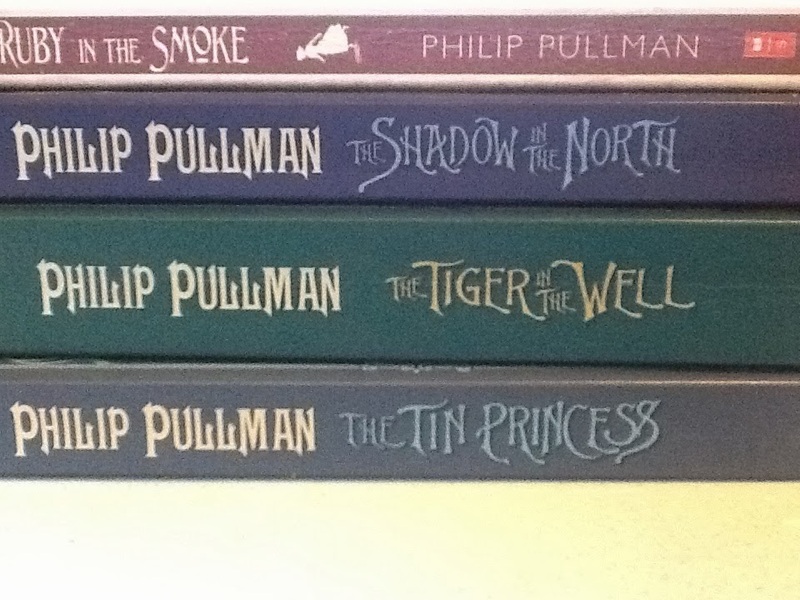 Do you love Philip Pullman's books? Would you agree that these two series should be on your bookshelves? Let Maya and I know in comments! Thanks for having me on the blog, Clover!